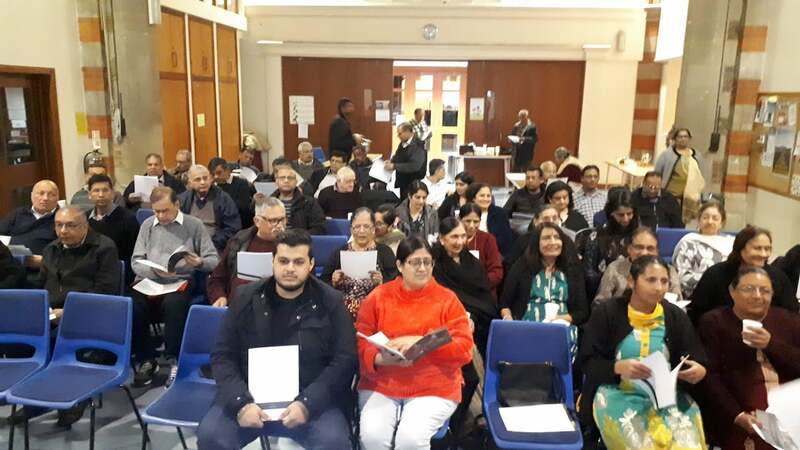 East Area Talk on Inheritance Tax 2019 | Oshwal Association of the U.K.
On Saturday 23rd February 2019, our members were very eager to come to the event and to learn about inheritance tax, trusts and wills at St John’s Church Hall, Seven Kings, Essex at 19:00. The hall opened sharp at 19:00 and members started coming and had a very large attendance from the East Area. Also, we had some members from other areas too. Dr Anil K Shah and Ashok Shah photographed the event. 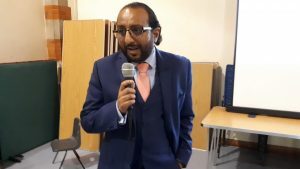 A prayer was recited and our Chairman Kishorbhai greeted everyone, gave his message to all to attend the AGM on 6th April 2019. The members mingled and were very happy to meet others. Everyone enjoyed the meal, consisting of dhebra, moong daal, rice, papad, chaas and pickles. Thanks to all the volunteers who helped on the day and prepared the food. Smiles on all the members’ faces made my day. Our evening subject was a talk by Dipesh Shah (Dip PFS, MSc, BA (Hons)) on inheritance tax planning (including wills, trusts and estate planning). Dipesh explained what the tax meant and how to save the inheritance tax. He gave many tips and what can be done to save from inheritance tax. Also how to safeguard your assets by paying the taxes and also regarding trusts and to make a will. It is very important to make a will and it should be put in a safe place. In short, the more wealth you have, the better it is to use wisely on yourself, give generously to charities and help others who are in need. It was a great topic to discuss and many attendees asked questions, which were answered with good advice. East Area OAUK thanks Dipesh and his partner Shaun to come all the way from North West and educate us on a subject that is very important.